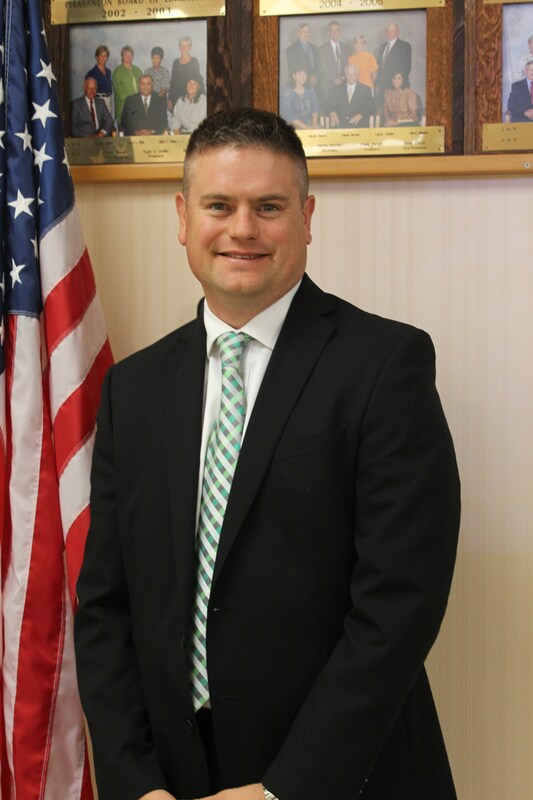 Dr. Matthew Mann came to Pleasanton ISD as the High School principal in June of 2012 before being named Superintendent of Schools in March of 2015. While the principal of the high school he instituted a refocusing on high yield instructional practices and helped to develop a successful model of collaboration between administration, teachers, and students. This initiative was supported through a dedication to being in the hallways and classrooms supporting the instructional mission of providing the very best education to our students. He will continue this pursuit of educational excellence by focusing on providing the very best instructional practices to every student in every classroom. Dr. Matthew Mann was born in Lafayette, Indiana. Growing up, his father was in the Army and he was able to travel to many different states and countries. These duty stations included Germany, Hawaii, California, and Colorado. During his father’s assignments, Dr. Mann attended 11 schools in 13 years. Mann graduated from Widefield High School in Colorado Springs. He attended Adams State University in Alamosa, Colorado on a Debate Scholarship. He graduated with a Bachelor of Arts with a major in History and Government and a minor in Speech and Debate in 1994. Mann married his wife Sara that he had met in college, that same year. Dr. Mann and Sara completed their student teaching in the San Luis Valley in rural, southern Colorado. Mann secured his first teaching position in Sierra Grande School District, a rural school with 150 students K-12, as one of two middle school teachers. He then moved to Pleasanton, Texas and went to business with his wife’s family in the produce industry. Mann went back to teaching at Samuel Clemens High School as a speech and debate teacher and later taught World History at East Central High School. Upon completing his Master’s degree from Texas A&M University-Kingsville in 2001, Mann secured an assistant principal’s position at Scobee Middle School in Southwest ISD. Wanting to move closer to his home in Pleasanton, he took a position as an assistant principal at Jourdanton Junior High School in 2005. Dr. Mann completed his doctoral studies at Texas A&M University-Kingsville in 2011 writing his doctoral dissertation on the relationship between school district size and science performance. He has presented at national and state level educational conferences and has published four articles on various educational topics. Dr. Mann is a proud resident of Pleasanton and is an active member of the Pleasanton Church of Christ and the local Rotary Club. He has been married for 24 years to his wife Sara who works for University of Texas at San Antonio as a School Trauma Specialist. Dr. & Mrs. Mann have two daughters and has many extended family in the area. Dr. Mann believes that great public schools are critical to the success of any community and he has dedicated his life’s work to guiding students to realizing their own potential.